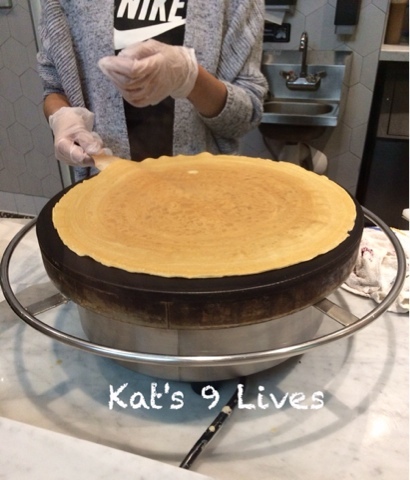 Kat's 9 Lives: Crêpe Coop (Union Market) : Who Doesn't Love Crêpes? 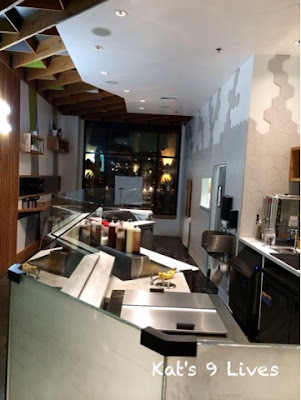 Crêpe Coop (Union Market) : Who Doesn't Love Crêpes? The Union Market is a smaller version of the Anaheim Packing District and much less crowded. There are many places to choose from to dine, snack, or pick up dessert. 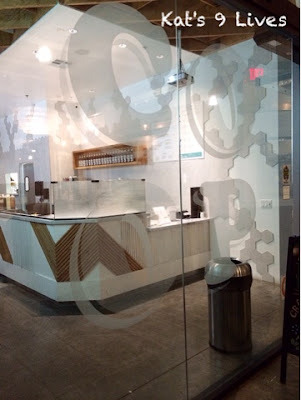 I will have to admit that I cheated on my best bud as she recommended Crêpe Coop and The Kroft as an excursion for us, but I figured she was busy and went without her. Of course as fate would have it, she suddenly had time and asked to go two days later. I was caught cheating lol. They are more located towards the center near the bar area. There isn't a lot of space for people to dine in. They have limited seats so it isn't a great place for big groups. There are only counters against the walls for patrons to sit. The crêpes are made fresh and right in front of you. They have a few pre-selected combos/flavors for you to choose from or you can create your own. I am not a big fan of having too many items in my crêpe except nutella, condensed milk, mango, and blueberry. You can ask them to make the crêpes extra crispy. My crêpe came out to be $8, which is a little bit on the pricier side. 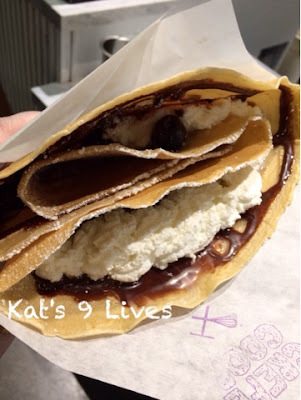 If you prefer more content in your crêpes, then you should choose from their pre-selected menu as those crêpes are $8.75 and you get a lot more ingredients including ice cream.